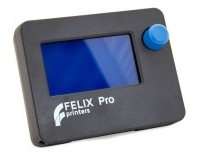 The FELIX Pro Series Maintenance and Repair set contains several tools to get your Pro printer quickly up and running again. The set contains essential spare parts which can be replaced very easily. We have selected the spare parts based on user's experience and on our knowledge of what might wear and tear due to usage. Together with the tools to perform maintenance, this is a great kit to always keep your printer going. 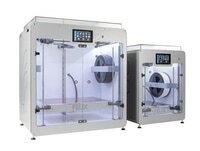 To maintenance your FELIX printer or to quickly replace specific parts, there are serveral tools available. We have selected the best tools for you to ensure maintenance goes as smooth as possible. We ship worldwide and we chose UPS as our standard shipping partner. They have proven to provide high quality service, in our experience every package has arrived in time and most important without damage. Every shipment is insured and tracable, to eliminate the risk of losing your valuable package and or invested money. The shipping time varies from 1 to 4 days depending on your location in the world. Orders placed before 13:00h CEST gets shipped out the same day if all items in your shopping cart are in stock. If you require any changes in the order, please notify us as soon as possible, to avoid any unnecessary handling costs. NOTE: Some countries require regular EMS postal service due to strict customs regulations, an example country is Russia.